One of the best things about living in this city has to be the downtown Indianapolis entertainment events, including all of the incredible sports teams and sporting events that take place in the city. 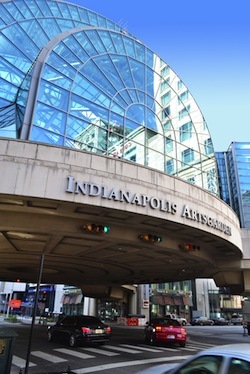 From Indy 500 racing to the 2012 Superbowl, Indianapolis has a lot to offer sports fanatics. The 2013-14 Indianapolis Colts football season is coming up and that means it's time to get ready for tailgating. Here's your guide to the best places to tailgate in the city. First of all, if you plan to tailgate anywhere around Lucas Oil Stadium, you might want to check out their parking and tailgating guidelines here. Join Indy Blue Crew if you are a professional tailgater and want to party close to the action. Big changes have come to the Blue Crew in 2013. Every year the nationally recognized Blue Crew Tailgating Lot has been sold out and there were always some fans that felt left out because they just couldn’t accommodate everyone. Well, this year Blue Crew has found a solution. For 2013 and into the future they have teamed up with EZ Parking and will now have an even larger space for some of the best tailgating in the country. The new lot at 551 W Merrill is not only several times larger than their previous location, it is much closer to Lucas Oil Stadium and has even better highway access for fans to get in and out of downtown easier. What does membership include? Membership ranges from a Car Parking Pass ($240 -includes official Brew Crew t-shirt & swag), all the way up to an x-large RV parking pass ($1,040) if you want to bring all of your friends and family in a huge tour bus (or 5 parking spots). If you are a diehard Colts fan and you prefer a more luxurious tailgating experience, you'll want to check out the Indianapolis Colts VIP Tailgate through Sports Events. You can enjoy the all-new, indoor tailgate location at The Crane Bay Event Center. Just a short walk from Lucas Oil Stadium, they have season passes for both FAN and VIP tailgaters with food catered by Ruth’s Chris Steak House – tailgating doesn’t get much better than that! The tailgate will open three hours before opening kickoff and close at opening kickoff for every Colts home game. You want to hang out with friends, but not necessarily do all the work required for serious parking lot-style tailgating. Walking the crowded streets of downtown Indy and hopping into bars filled with rowdy fans sound like a little slice of heaven to you? Or maybe you're just in the city for the game for one night, rooting for your favorite team. Look no further than Georgia street in downtown Indianapolis, walking distance from Lucas Oil Stadium. Last November during the Big 10 Championship, Georgia Street transformed into a four block long tailgate, complete with a beer garden and food. You can find a complete list of watering holes in this area and join the crowds for some serious bar hopping and street-style tailgating during the big games. Book a spot in advance. Several local parking garages and lot owners allow you to reserve a parking space at Lucas Oil Stadium before you head downtown for the games. The upside is you can plan ahead exactly where you're going and how close you'll be to the stadium. A metered spot could make the most sense, particularly for Sunday games, when the spots are free. Park at Circle Centre mall. The mall typically charges a $20 event rate on Colts game days, but if you spend $20 at a mall merchant (including the Colts Pro Shop), you get the regular rates. Surface lots near the stadium provide convenient access, but prices can be steep depending on game-day demand. Several nearby garages also are a good option for parking on game days. Many of the city's more than 72,000 parking spaces are in covered garages. Make sure to check for event rates and find out what time your garage closes. The garages that sit farther from the stadium and are not attached to hotels tend to have the lowest rates. Check out our full list of Indianapolis Parking Garages and Lots. Have a happy and safe tailgating season, Colts fans! And share your favorite tailgating spots in the comments below.